Here’s a fun green gadget for all the Eco geeks out there, the Tocs Ani-Digi Solar Chronograph Watch. The Tocs Ani-Digi Solar Chronograph Watch is fully waterproof to 3ATM, so it would be ideal to use at the beach, it is powered by solar power and also has a built in lithium battery, so it will still work when there is no sunlight. 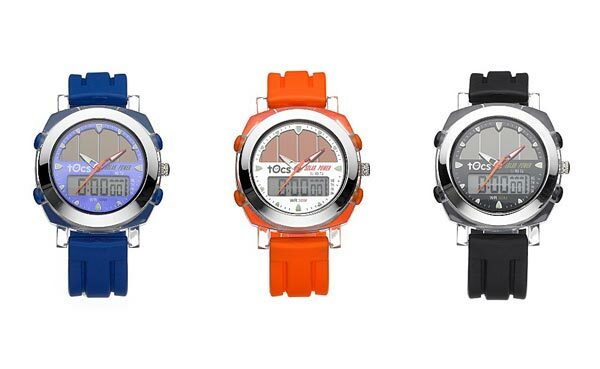 If you want one the Tocs Ani-Digi Solar Chronograph Watch comes in a choice of colors, including orange, black and blue, it is available for $50.